I had a very nice meeting this morning with Sir Harry Kroto, who is back in the UK for the summer. We chatted about a number of exciting things going on at Sussex University and beyond, in the middle of which I remembered a film featuring my former PhD Student from Nottingham days, Emma King. The film was part of a series about young scientists made by the Vega Science Trust (which Harry set up) and it was originally broadcast on BBC 2 as part of The Learning Zone. Emma is a graduate of the Department of Physics & Astronomy at Sussex University. As an undergraduate at the University of Sussex she made history when she became the first woman to win the top prize at the Science, Engineering and Technology Student of the Year award despite tests at school which showed that Emma was not only slightly dyslexic, but that also had very poor arithmetic skills and she says “a nearly non-existent visual memory.” None of that stopped her completing her PhD thesis (on magnetic fields in cosmology) in 2006.
p.s. After completing her PhD, Emma changed career and now runs this outdoor event venue. I’ve only just got time for a quick lunchtime post before I head off to attend an afternoon of Mathematics presentations, but it’s a one of those nice bits of news that I like to mention on here from time to time. 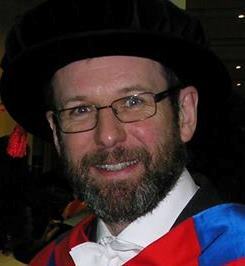 It is my pleasure to pass on the wonderful news that one of my colleagues in the School of Mathematical and Physical Sciences here at the University of Sussex, Dr Jeff Hartnell,. has been awarded the High Energy Particle Physics prize of the Institute of Physics, which means that his name has now been added to the illustrious list of previous winners. The prize is awarded annually by the HEPP Group, a subject group in the Nuclear and Particle Physics Division of the IOP, to a researcher in the UK who has made an outstanding contribution to their field of study early in their career (within 12 years of being awarded their first degree). There’s a very nice piece about this award here which reveals, amongst other things, that many moons ago at Nottingham I was Jeff’s undergraduate tutor! In fact Jeff also attended a third-year course on Theoretical Elementary Particle Physics I taught in those days. That he survived those experience and went on to be a world-leading physicist speaks volumes! Not only that, it’s also evidence that the world of physics is smaller than we sometimes suppose. I’ve crossed paths with a number of my new colleagues at various times in the past, but it’s particularly rewarding to see someone you taught as an undergraduate go on to a highly successful career as a scientist. Jeff was awarded a prestigious ERC grant this year too! Jeff is currently in the USA helping to set up the largest-ever experiment in neutrinos to be built there, called NOvA. You can click on the preceding links for more technical details, and I also found this interesting video showing the NOvA detector being assembled. Particle physics experiments are never small, are they? p.s. Why do they insist on writing “metric ton” instead of “tonne”? Tsung-Dao Lee was born in Shanghai and educated at Suzhou University Middle School in Shanghai. Fleeing the Japanese invasion, he left Shanghai in 1941. His education was interrupted by war. In 1945 he entered the National Southwest University in Kunming as a sophomore. He was soon recognized as an outstanding young scientist and in 1946 was awarded a Chinese Government Scholarship enabling him to start a PhD in Physics under Professor Enrico Fermi at the University of Chicago. He gained his doctorate in physics in 1950 with a thesis on the Hydrogen Content of White Dwarf Stars, and subsequently served as a research associate at the Yerkes Astronomical Observatory of the University of Chicago in Williams Bay, Wisconsin. It is usually difficult to explain the ideas of theoretical physics to non-experts. The mathematical language is inaccessible to those without specialist training. But some of the greatest achievements in this field are so bold and so original that they appear, at least with hindsight, to be astonishingly simple. The work of Lee and Yang on parity violation in elementary particle interactions is an outstanding example. Subatomic particles interact with each other in very complicated ways. In high energy collisions, particles can be scattered, destroyed or transformed into other particles. But governing these changes are universal rules involving things that never change. The existence of these conservation laws is a manifestation of the symmetries possessed by the mathematical theory of particle interactions. This classic “Eureka moment” happened half a century ago, but Professor Lee has since made a host of equally distinguished contributions to fields as diverse as astrophysics, statistical mechanics, field theory and turbulence. He was made Enrico Fermi Professor at Columbia in 1964 and University Professor there in 1984. With typical energy and enthusiasm he took up the post of director of the RIKEN Research Center at Brookhaven National Laboratories in 1998. He has played a prominent role in the advancement of science in China, including roles as director of physics institutes in Beijing and Zhejiang. Professor Lee has received numerous awards and honours from around the world, including the Albert Einstein Award in Science, the Bude Medal, the Galileo Galilei Medal, the Order of Merit, Grande Ufficiale of Italy, the Science for Peace Prize, the China National-International Cooperation Award, the New York City Science Award, the Pope Joannes Paulis Medal, Il Ministero dell’Interno Medal of the Government of Italy and the New York Academy of Sciences Award. His recognition even extends beyond this world, for in 1997 Small Planet 3443 was named in his honour. Chancellor, Vice-Chancellor, to you and to the whole congregation I present Professor Tsung-Dao Lee as eminently worthy to receive the degree of Doctor of Science, honoris causa. Today was the day of the graduation ceremony for Cardiff University‘s School of Physics & Astronomy, which took place in the fine surroundings of St David’s Hall. It’s a proud day for the students and their parents so, before anything else, let me offer my congratulations to all those who graduated today. Congratulations and well done to you all! I put on my robes in the Green Room and was in the academic staff procession at the beginning and end of the ceremony. I also sat on stage during the conferment of degrees and the speech by the University’s President, Lord Kinnock. Some of the proceedings were conducted in Welsh – including the actual degree award – but it was comprehensible enough for all foreigners (even the English) to follow what was going on. Graduation ceremonies are funny things. With all their costumes and weird traditions, they do seem a bit absurd. On the other hand, even in these modern times, we live with all kinds of rituals and I don’t see why we shouldn’t celebrate academic achievement in this way. The academic procession is quite colourful because staff wear the gown appropriate to their highest degree. Colours and styles vary greatly from one University to another even within the United Kingdom, and there are even more variations on show when schools contain staff who got their degrees abroad. Since I got my doctorate from the University of Sussex, which was created in the 1960s, the academic garb I have to wear on these occasions is actually quite modern-looking. With its raised collar, red ribbons and capped shoulders it’s also more than a little bit camp. It often brings a few comments when I’m in the procession, but I usually reply by saying I bought the outfit at Ann Summers. Graduation of course isn’t just about education. It’s also a rite of passage on the way to adulthood and independence, so the presence of the parents at the ceremony adds another emotional dimension to the goings-on. Although everyone is rightly proud of the achievement – either their own in the case of the graduands or that of others in the case of the guests – there’s also a bit of sadness to go with the goodbyes. The new graduates were invited back to the School for a reception after this morning’s ceremony, along with parents and friends. That provided a more informal opportunity to say goodbye. Some, of course, are continuing their studies either at Cardiff or elsewhere so I’ll be seeing at least some of them again. Although this was my first attendance at the Cardiff University graduation, I’ve been to graduation ceremonies at several universities as a staff member. They differ in detail but largely follow the same basic format. Compared to others I’ve been at, the Cardiff version is very friendly and rather informal. For one thing, the Vice-Chancellor actually shakes hands with all the graduands as they cross the stage. At Nottingham University, for example, where I was before moving here, the V-C just sat there reading a book and occasionally nodded as they trooped across in front of him. The venue for Cardiff’s graduation is also right in the city centre, so all day you can find students in their regalia wandering through the town (sometimes with their doting parents in tow). I like this a lot because it gives the University a much greater sense of belonging to the city than is the case when everything happens on a campus miles out of town. The most remarkable thing I noticed in the ceremony was not to do with Physics & Astronomy, but with Cardiff’s School of Psychology which is much larger and in which at least 90% of the graduates were female. In our School the proportions aren’t exactly reversed but are about 75% male to 25% female. I’ve also been through two graduations on the other side of the fence, as it were. My first degree came from Cambridge so I had to participate in the even more archaic ceremony for that institution. The whole thing is done in Latin there (or was when I graduated) and involves each graduand holding a finger held out by their College’s Praelector and then kneeling down in front of the presiding dignitary, who is either the Vice-Chancellor ot the Chancellor. I can’t remember which. It’s also worth mentioning that although I did Natural Sciences (specialising in Theoretical Physics), the degree I got was Bachelor of Arts. Other than that, and the fact that the graduands walk to the Senate House from their College through the streets of Cambridge, I don’t remember much about actual ceremony. I was very nervous for my first graduation. The reason was that my parents had divorced some years before and my Mum had re-married. My Dad wouldn’t speak to her or her second husband. Immediately after the ceremony there was a garden party at my college, Magdalene, at which the two parts of my family occupied positions at opposite corners of the lawn and I scuttled between them trying to keep everyone happy. It was like that for the rest of the day and I have to say it was very stressful. A few years later I got my doctorate (actually DPhil) from the University of Sussex. The ceremony in that case was in the Brighton Centre on the seafront. It was pretty much the same deal again with the warring factions, but I enjoyed the whole day a lot more that time. And I got the gown.